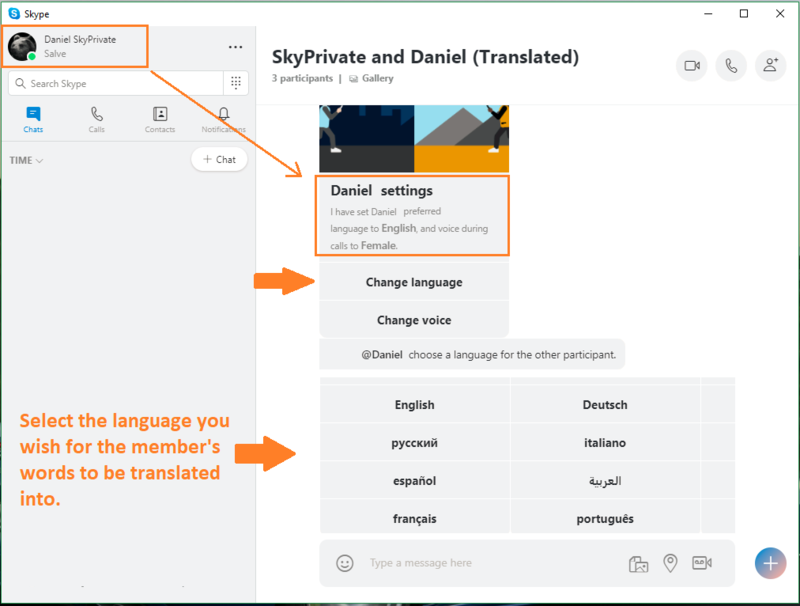 Skype Translator is a very useful tool for communicating with our members on Skype, in the desired language. Here you can find out how you can use it. 1. Start your Skype, choose the person you want to talk to from your contacts' list and left click on his name. Then, click on "Start translator", as in the photo below. 2. After that, a group will be created on your Skype contact's list which includes you and the other participant. 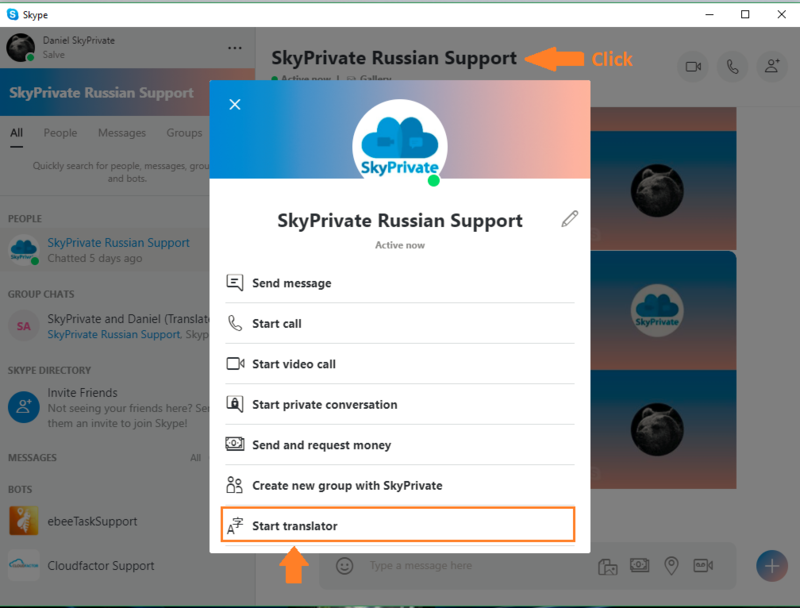 - Skype will translate every sentence the SkyPrivate Member writes, in English. If you wish to change the translated language, click on the "Change language" button. For example, let's say you are a Colombian Model who speaks Spanish and you want to see everything the Member writes in the Spanish language. In this case, go to your Translator settings, click on "Change language" and select "Espanol", as in the image below. After that, every sentence the Member will write ( in Russian, English, Romanian, Serbian etc. ), will be translated into Spanish for you.